Stream Team is a Volunteer Water Quality Monitoring Program offered by Licking Soil & Water. Community members are invited to join our team of nearly 100 volunteers committed to promoting clean water through regular stream site testing. 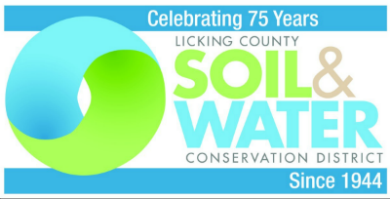 A 2-hour training workshop includes information about the current state of our rivers and streams as well as findings from a recent Ohio EPA study of the Licking River Watershed. Then through hands-on instruction, trainees learn to use water quality sampling equipment and supplies. Upon completion of training, participants receive a complimentary water quality test kit and agree to adopt a stream site for continued monitoring. All collected data is submitted to Licking Soil & Water for analysis. The gathered information provides an accurate representation of stream health now and long-term changes. Dedicated citizen scientists and Licking Soil & Water’s leadership make this community-based conservation initiative successful. Please consider joining our team.